A material list can help you a lot in terms of identifying and arranging every material that will allow you to successfully implement or execute an activity. When making a material list, you need to ensure that it can provide you with the accurate and precise description of the things that you will be needing may it be for a project, an experiment, an educational undertaking, or any program and activity where the organizational tool will be used. You may also see to-do list templates and examples. 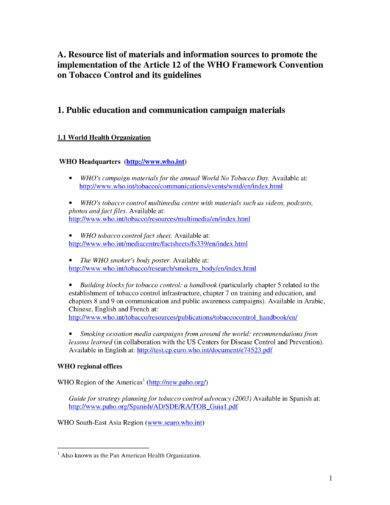 If you plan to create a material list but is not confident with your prior knowledge about the matter or you just want to be properly guided within the entire development of the document, you can refer to the downloadable and printable list templates and examples in PDF that we have gathered and put together in this post just for you. Creating a material list may sound easy but a few mistakes with what you will write in this tool can actually affect the entire project or program where it will be used. This is the reason why you have to be very keen and careful when developing the content of the material list. More so, you also have to look into the ways in which this document will be formatted. Listed below are the simple steps that you can follow if you want to create an effective material list. 1. Have an idea of what kind of list it is that you want to create. Knowing the purpose of the material list can give you a direction when it comes to what you truly need to include in the document. It will also be best if you already have a plan at hand so you can incorporate the material list’s usage in the planning and execution steps that you have prepared. You may also see contact list examples. 2. Review the simple plans that you would like to execute. If there are no existing plans yet, then do not start creating a material list as it will only clutter your thoughts with unnecessary information pertaining to the requirements of any activity. Looking at the determined plans again can help you truly assess the needs and demands of an activity when it comes to materials and other items. 3. Group all the materials based on their importance, the suppliers that will provide them, or the phases of the activity or project where they will be used. What is essential in this undertaking is to make sure that you will end up with an organized and specific list. You may also like how to use your email list to raise more money. 4. Know the specifications of the materials that you will be listing. Describing the materials in the list can help you a lot especially if these materials will be used in construction. Having descriptions can also make it easier for other people who will look into the list to have the exact items that you would like them to get or acquire. You may also check out birthday list examples. 5. If you need additional guides in making a material list, you can also refer to list templates in Word, PDF, or Excel. Having templates as your references can make it easier for you to arrange the content of your material list accordingly. More so, material list templates can give you an idea on how you can format the entire document as to which it can be presented in the best way possible. 6. Browse through the final material list that you have created and see if there are still other things that you would like to add or if there are other items that are needed to be corrected or updated. 1. 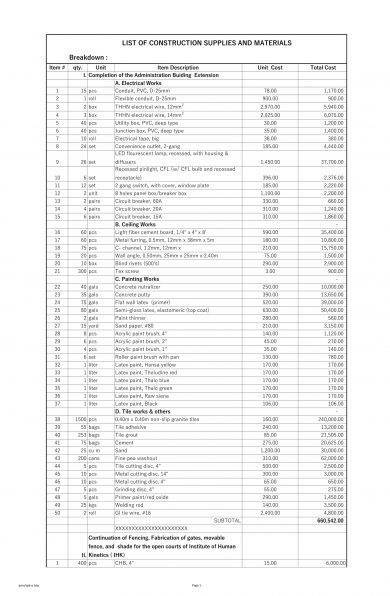 A material list can help your team keep an accurate and updated inventory. Through a material list, you can keep track with the number of items that you purchase and the kinds of materials that you still need. Hence, the production or operations where you are immersed in can maximize the potential of your resources. You may also see how to prepare your email marketing list and profits. 2. A material list will allow a project or any undertaking to have a real-time inventory. With this, all the time and effort of the team or yourself can be optimized. A material list can showcase not only the control of quantity but also of quality that can also save you and/or your team from further or added finances. You may also like management skills list and examples. 3. 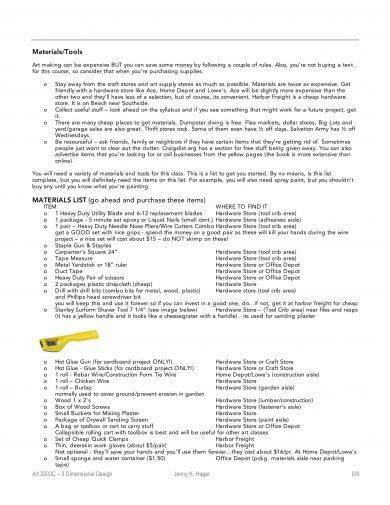 A material list can dictate the specifics of the items or materials that you need. As an example, if you are tasked or asked to use a piece of wood for a project, your teammates can select from a variety of kinds of woods. The presence of this document can list down all the specifications and precise descriptions of the wood that your project requires. Even if verbal instructions are already given, retention of accurate data can still be hard without the help of a material list. You may also check out reading list examples. Do not just look into the content of the material list. You also have to think of how you will lay out all the information that you have collected so you will end up with an organized material list. 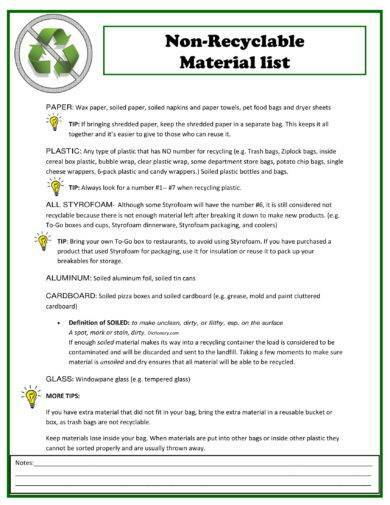 This can make it easier for you and other people to use the material list. 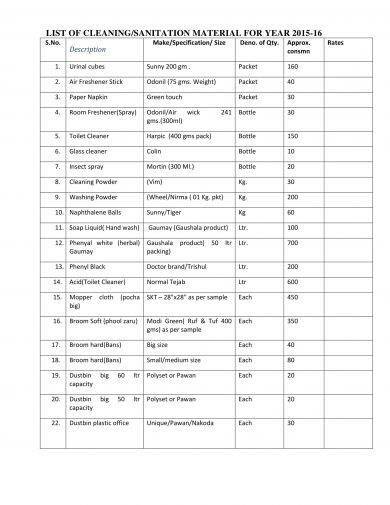 You may also see inventory checklist examples. Make sure that you will review the material list properly. Do not include any vague information or unnecessary details that are not aligned with the usage of materials in the project that you are involved in. Use downloadable examples if you have no idea on how to create an effective material list. You can also go back to the discussions in this post so you can be more knowledgeable on how to create a material list and how to use them in the best way possible. Develop a material list that is directly relevant to the project or activity where you will use it. Since there are different ways on how material lists can be used, coming up with the actual and precise material list that you need at the moment can give you the most beneficial returns. You may also like marketing checklist examples & samples. Write a Material List Now! 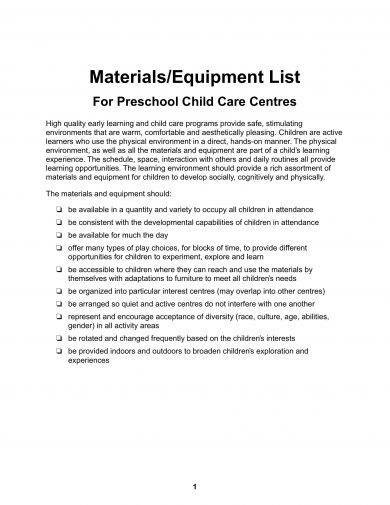 Material lists can be used for purposes of checking project material requirements, listing of items that are needed to be bought for an event, or identifying the materials that are essential to be present in a particular phase of a program. With this, you always have to keep in mind that material lists must be specifically created for material identification and description. If you want to add other information in this document, then it will be better to have project requirement checklist examples or other kinds of general lists and checklists. 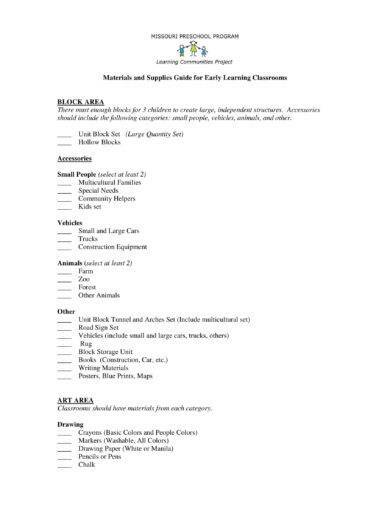 Making a material list can help you a lot if you want to be more organized and guided when dealing with materials in different instances, processes, and circumstances. 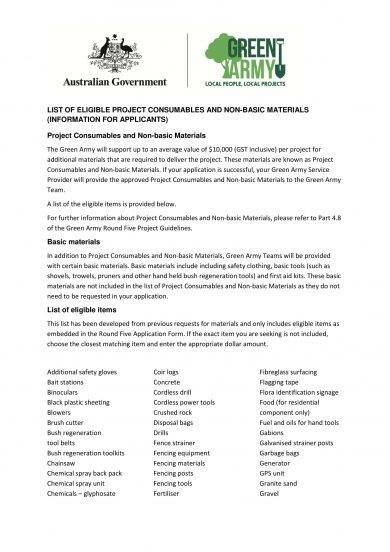 Since you already have the basic tips, guidelines, and information about the creation of material lists, why don’t you try to create a material list of your own now? Writing a material list will only take a few minutes of your time but it can actually provide you with lasting results. 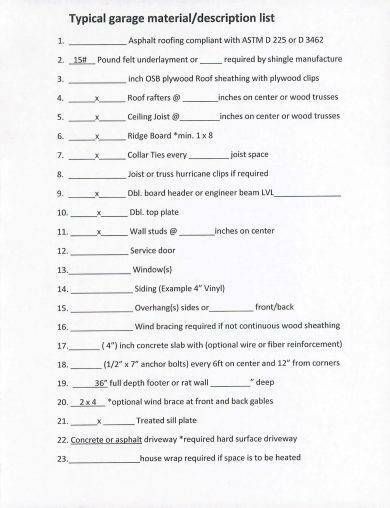 You may also see printable checklist examples. 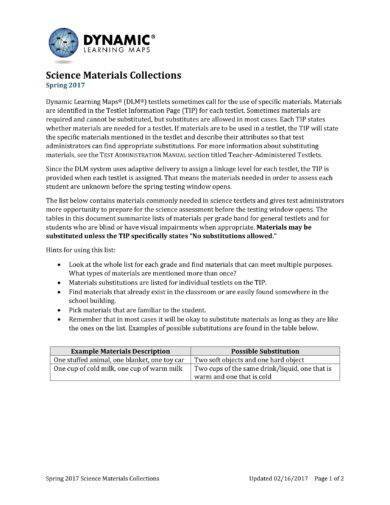 Our downloadable examples can be great references that can enable you to start writing the specific material list that you need.